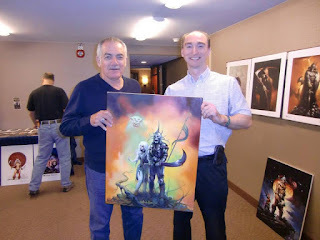 S E Lindberg: Ken Kelly Original - Found by Rathen (Grant Elliot Smith)! 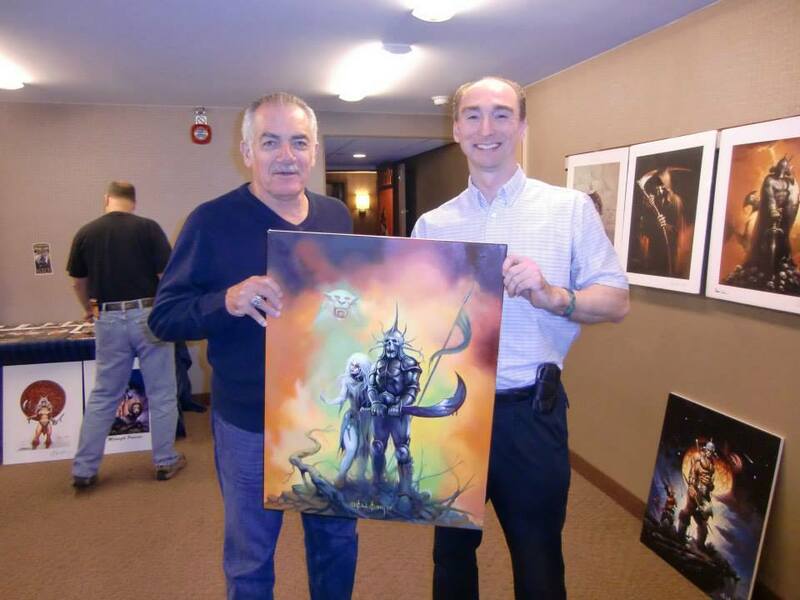 Ken Kelly Original - Found by Rathen (Grant Elliot Smith)! Spawn of Dyscrasia - Original on the move! The concept and making of Spawn of Dyscrasia's cover by Ken Kelly is documented in three posts; in short, after springing for the commission and the rights to use it as a cover, I had exhausted my funds. To obtain copy for my house I purchased a signed giclee print in lieu of the original. At that point, I did not know what would become it. Rathen, a former Captain in King Delvant’s army, retired to a quiet backwater town after the Kingdom’s forces were dissolved following the King’s sudden death. Trying to forget his problems by the copious use of strong ale, he is approached by the emissaries of a powerful lord to lead a team of fighters, healers and mages to dispel brigands from his lands. 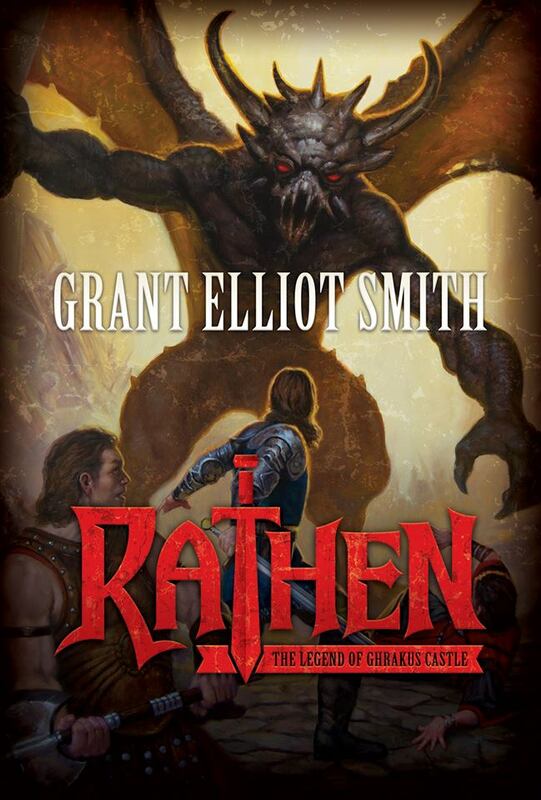 Rathen quickly recruits his best friend, an ex-gladiator and landlord of the local tavern, Bulo, to assist him. The two join other members of the group and begin to hear stories of magical creatures and numerous dead in the land they are supposed to cleanse. Despite this, they head for Ghrakus Castle and on the way they learn of the Castle’s dark and mysterious history. Finally arriving at Ghrakus, where the full horror of their task becomes clear, they realize that their chances of returning home were indeed very slim and that betrayal awaits him.